Receiving a diagnosis of multiple sclerosis can be frightening. I know firsthand—I was diagnosed in 2013 shortly after I turned 29, and after experiencing symptoms such as numbness, tingling and vertigo. I learned I had lesions on my brain and spinal cord. When I found out I had MS, I felt lost, overwhelmed, and helpless. I worried about my future and mourned for my past. The disease, which affects around 2.5 million people worldwide, comes in several forms with many manifestations. Symptoms can include vision problems, fatigue, pain, and loss of coordination. Much like our varied symptoms, patients embark on different journeys. But while our individual experiences may be unique, there are similar underlying needs and conversations that must be had. Both the National Multiple Sclerosis Society and the Patient-Centered Outcomes Research Institute work closely with patients and caregivers to fund research on MS. In recognition of MS Awareness Week, March 11–17, I want to highlight five of PCORI’s funded research studies that aim to help make care more individualized to patients’ needs. With so much at stake, it’s important to understand whether using stronger treatments early after diagnosis will prevent or delay the worsening of symptoms, or whether we should wait to use aggressive treatment until after our MS has progressed. Two PCORI funded studies, one at the Cleveland Clinic Foundation and the other at Johns Hopkins University, are comparing these treatment strategies. Results from these studies may mean that patients in the future won’t be in my situation, wondering what would have happened if I had started aggressive therapy sooner. Most people with MS begin taking DMTs in the early stages of the disease, as research shows that’s when the treatments are most effective. But research has also shown that relapses and the appearance of new lesions decrease as we get older, and that DMTs are less effective at treating MS in its later phases. So, could it be safe to stop taking DMTs later in life? A project at the University of Colorado Denver asks whether patients age 55 and older who haven’t had a relapse or change in a brain scan for five years can stop taking DMTs without their MS worsening. It’s learning whether patients who continue DMTs have a difference in quality of life and in symptom progression compared with those who stop. I’ve chosen to discontinue DMTs for periods of time in the past, and while it was freeing to get a break from pills or injections, I couldn’t shake the fear that I had opened a door to more damage or disability. But opposing questions arise, too: Is it worth the cost, risk, and toll on our bodies to continue DMTs as our MS progresses? I’m not thrilled about the idea of taking a DMT forever, but I’m also not sure how I would respond if my doctor advised me to stop. Would I feel like I was giving up? Would I feel relieved? What if the disease started to progress again after a quiet period? Research into the safety and effectiveness of this option could help me decide. Fatigue is my worst, most consistent symptom. It’s also the most common symptom across patients with MS. I have to decline invitations and miss out on social activities. I sometimes rely heavily on my husband to do the bulk of household chores. I struggle to help others understand what MS fatigue feels like. There are no approved medicines to treat MS-related fatigue, but doctors often use amantadine, modafinil, and methylphenidate, which have been approved to treat other health problems. This Johns Hopkins University study is comparing each of these medicines to see which works best to treat MS-related fatigue. Managing fatigue is a tricky endeavor, so having an evidence-based way to help us decide how to do so will be very helpful. 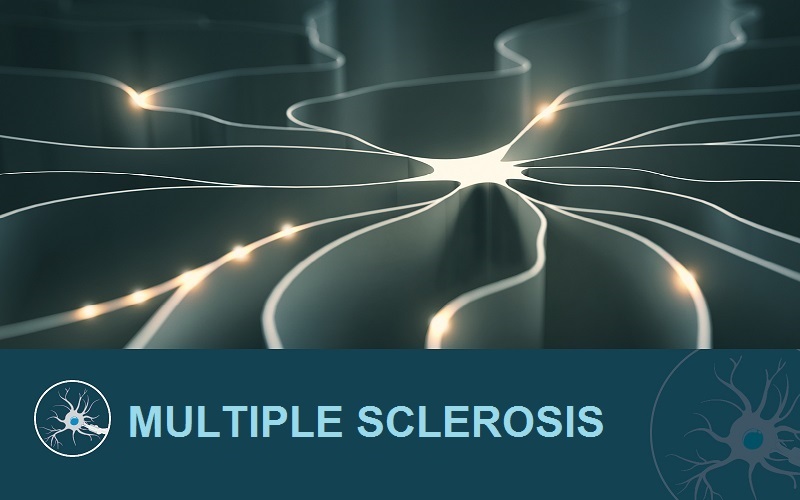 View PCORI's Research Topic Spotlight on multiple sclerosis. Many people with MS struggle with depression. It’s an often-overlooked symptom, and it’s also a common side effect of DMTs. Financial struggles, feeling like a burden to family and caregivers, and uncertainty over future health and quality of life can make this struggle harder. Evidence-backed physical and behavioral treatments for depression exist, but many MS patients either don’t know about them or don’t have access to them. A study at the University of Washington asks if a collaborative care approach can help control depression and chronic pain and improve overall quality of life. In the approach being tested, a nurse, supervised by physicians, psychiatrists, and psychologists, coordinates and provides treatment for depression as guided by patients’ goals and preferences. I’ve struggled with MS-related depression, and while I’ve never experienced collaborative care, I can imagine its benefits. There’s a stigma attached to depression that we need to work through. We shouldn’t feel shame for struggling. But MS doesn’t have to be all negative. Life doesn’t end here. Each of these studies raises questions that are often neglected or uncomfortable to consider. No matter what patients’ views are on these topics, my hope is they plant seeds for more assertive self-advocacy. I encourage patients to speak to their specialists and share their thoughts and concerns. Hi Cat, I have CIS form MS. I am wondering where the information regarding MS lesions or progress diminishing with later age is from? Thank you for your comment, Mr. Slattery. Prior research has shown that for relapsing-remitting MS, the risk of relapses and new lesions decreases as people age and disease-modifying therapies are less effective. For instance, this study found the relapse rate decreasing by 17 percent every five years. Other studies have reported similar findings. We cannot, of course, provide medical advice about your specific situation.